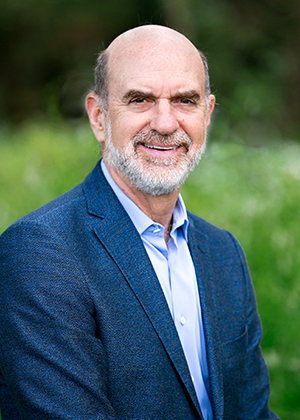 Bob Fisher is a founding trustee of the Pisces Foundation and chairman of the board of Gap, Inc. Bob has spent his career working in the retail business and striving to advance environmental and other philanthropic initiatives. Bob has been a member of Gap’s board since 1990 and from 1980 to 1999 served the company in various operating roles. In 2007, Bob co-founded the Pisces Foundation, which supports early movers, innovative ideas, and bold leaders and organizations, inspired by a vision of people and nature thriving together. Bob is currently a member of the Board of Trustees of Conservation International, where he serves on the Executive Committee. Bob also spent over two decades on the Board of Trustees of the Natural Resources Defense Council, including serving as vice chairman. In 2010, Bob co-founded the Water Foundation, whose mission is to ensure integrated and sustainable improvements to water management throughout the American West. In 2009, Bob was appointed by Governor Arnold Schwarzenegger to the Strategic Growth Council, which focuses on advancing sustainable communities that promote equity, strengthen the economy, and protect the environment for the state of California. Bob is the president of the board of the San Francisco Museum of Modern Art. Bob attended Princeton University, where he received his B.A. in English literature, and Stanford University Graduate School of Business, where he received an M.B.A.